Every year, the Turkish Government offers the Türkiye Scholarships for undergraduate, master and PhD programmes to foreign students to study in Turkey. 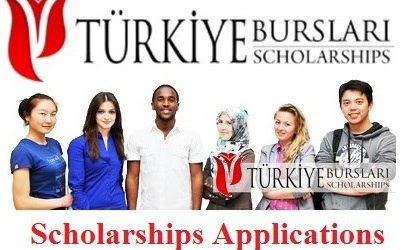 Türkiye Scholarships are government-funded, competitive scholarships, awarded to outstanding applicants from countries outside Turkey to pursue a full-time degree and short-term programmes at prestigious universities in Turkey. The TÜRKİYE Scholarships 2018 Second Round of Applications are now OPEN! The second round call and application cycle received postgraduate applications between 5 February – 5 March 2018; while the current call is for undergraduate applications in the third round between 16 April – 27 May 2018. Candidates who have graduated or are likely to graduate from an educational institution equivalent to that of Türkiye’s in the present academic (i.e. bachelor’s degree for master’s level) can apply to Türkiye Scholarships. There is also age condition for candidates required to meet. Applicants shouldn’t have any health problems barrier to education. It is expected to have certain academic score from candidates for each program and scholarship level. There are specific minimum score of the program that you are applying at “assessment and selection” section. Students who are currently studying in Türkiye are not allowed to apply to the level that they are already studying. Afghanistan, Albania, Austria, Azerbaijan, Bahamas, Belgium, Burundi, Canada, Czech Republic, Denmark, Germany, Italy, Iceland, Ireland, Japan, Kyrgyzstan, Liechtenstein, Luxembourg, Macau (SAR), Malta, Micronesia, Moldova, Monaco, Myanmar, Nepal, Norway, Pakistan, Portugal, Puerto Rico, Spain, Sweden, Switzerland, San Marino, Tajikistan, Tanzania, Thailand, Turkmenistan, United Arab Emirates, United States, Ukraine, and Vietnam. Algeria, Andora, Antigua and Barbuda, Armenia, Bahrain, Bangladesh, Barbados, Belize, Benin, Belarus, Bolivia, Bosnia and Herzegovina, Brunei, Bulgaria, Burkina Faso, Cape Verde, Central African Republic, Djibouti, Cambodia, Cameroon, Chad, China, Comoros, Congo, Croatia, Cuba, Democratic Republic of Congo, Dominica, Egypt, Equatorial Eritrea, Estonia, Ethiopia, Finland, French Guiana, Gabon, Gambia, Ghana, Greece, Guinea, Guinea Bissau, Grenada, Guyana, Georgia, Haiti, Hungary, Iraq, Iran, Israel, Ivory Coast, Jamaica, Jordan, Kazakhstan, Kosovo, Kuwait, Laos, Latvia, Liberia, Libya, Lithuania, Lebanon, Madagascar, Macedonia, Malawi, Mali, Marshall Islands, Mauritania, Mexico, Montenegro, Mongolia, Morocco, Niger, Nigeria, North Korea, Oman, Palau, Palestine, Poland, Qatar, Romania, Russia, Saint Kitts and Nevis, Saint Lucia, Saudi Arabia, Sao Tome and Principe, Senegal, Serbia, Sierra Leone, Slovakia, Slovenia, Somalia, Sudan, Suriname, Syria, St. Vincent and the Grenadines, Taiwan, Togo, Trinidad and Tobago, Tunisia, Turkish Republic of Northern Cyprus, United Arab Emirates, Uzbekistan, Venezuela and Yemen. for undergraduate degree students is 1 year Turkish language course + educational duration. for graduate degree (master and PhD) students is 1 year Turkish language course + 1 year scientific preparation ( if necessary ) + educational duration. Is limited by research duration and it is maximum of 1 year. for Success and Support Scholarship is a year and monthly stipend is paid just for the months when they continue their education. Applications can ONLY be made online. Türkiye Scholarships include both scholarship and university placement at the same time. Applicants will be placed in a university and programme among their preferences specified in the online application form. There are no institutions or individuals authorized to perform applications for Türkiye Scholarships on behalf of candidates. Successful application requires going to the official website to register and create an account (via www.turkiyeburslari.gov.tr). Candidates are strongly advised to carefully read the instructions and warnings in the application system. Postgraduate applications will be received in the second round between 5 February – 5 March 2018; while undergraduate applications will be received in the third round between 16 April – 27 May 2018. Turkey (also known in Turkish as Türkiye), officially the Republic of Turkey is a transcontinental country, located mostly on Western Asia on the one hand, and on Southeastern Europe on the other hand. hello good day to you all please how can I apply for the undergraduate program?